Well, yes and no. I like Weezer. I like Panic. I like Fall Out Boy. With that list, A.K. says, “oh, then you have to check out The 1975 (learn about them here), a poppy, emo, band blowing up on the U.K.” In the article I linked, here’s two quotes . . . 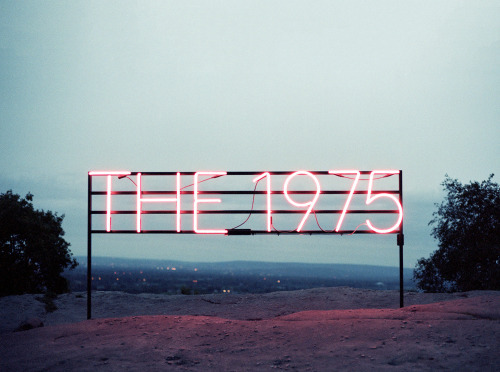 But you don’t have to be a kid to like them: the 1975 were a band I expected to hate when I first heard that album. If this is the album (their second album being released next monty) that determines whether the 1975 become U2 or Big Country, they’ve staked everything on the former outcome. We took a road trip over the weekend and, well, I fell in love. To me, The 1975 is a little bit FOB, a little bit Duran Duran, and emo and glam and fun and brooding. Oh. They’re perfect. When they come the U.S., eventually, Taylor Swift is going to make sure you know about them and that you’ll like them, and I’ll greet them at the airport while holding a hand-painted sign. Why can’t I just like Wilco and Death Cab like the rest of my fellow 40-somethings? To my readers …meet The 1975.